A convoluted walk through Southwark to the OXO Tower Creative Spaces brings us to the enormous art gallery that is the Bargehouse. Serving up some Day of the Dead realness, Jose Cuervo is another in the line (like last week’s El Nivel, click HERE for review!) 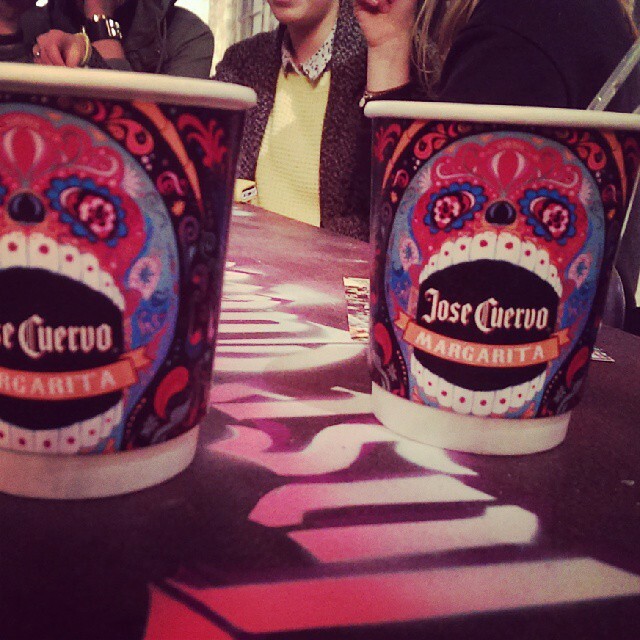 of tequila events leading up to the Tequila Fest 2014, sponsored by the Mexican Embassy in London. 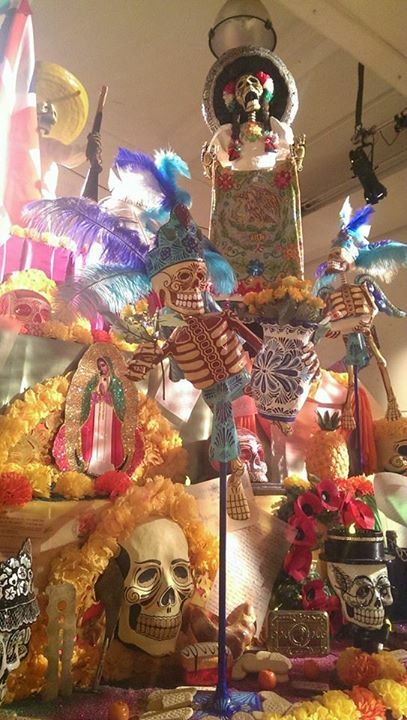 From the 30th Oct to 2nd Nov, artwork is geared to depicting the Day of the Dead and with themes of the passed and loss, accompanied by drinks provided by Jose Cuervo tequila. Also included in the festival are Jose Cuervo masterclasses, a variety of children’s art and crafts workshops, and a screening of The Day of The Dead 1984 cinema classic, “Under the Volcano”. Entering the gallery to a mindblowing DotD float crowned in sugar skulls and marigolds, traditional to Dia de los Muertos, guests make their way through the sprawling galleries to finally the two Jose Cuervo bars serving up a small selection of tequila drinks to accompany you through the artwork. As per 2014’s obsession with the drink, Frozen Margaritas make an appearance, as do Palomas and Sours, all priced at a perfect 6.50 GBP. The Paloma is standard, but worth it at the price, but the star of the night would be Tradicional Sour, A tequila sour with egg white and fig puree – a much better choice than infusion since the perfectly seasonal, ripe sweetness of the fig comes through excellently. A must try this weekend! Drinks wise, yes, it is an event to definitely visit. Art was enjoyable, but I couldn’t help but feel that the event did not capture both aspects of the Dia de los Muertos. True, there is a remembrance and honouring of those that passed, with an appreciation for feelings of loss and grief; but there is also celebration in their memory, and in terms of the art here, the festivities are lost with the artwork being predominantly focused on grief, old age and suffering, and even horror. This may or may not have led to the rather sombre attitude of the crowd most of the night. Nonetheless, great pieces of artwork, with excellent drinks at 6.50 – what’s not to love? Enjoy your Dia de los Muertos all, and a Happy Halloween! This entry was posted in Bars & Cocktails, Festivals & Events and tagged Art, Event, Halloween, Tequila.